Does God Speak to People Today, Like He Did in the Bible? Many people today appeal to the Bible for moral teachings and general guidance on how to lead a virtuous life. Some point to it as a witness of Jesus Christ as the Redeemer of the world, and read it to follow in his footsteps. Many, at the very least, refer to the Bible to try to understand “what God has said” on a particular topic. Regardless, a quick look at Google Trends reveals that “The Bible” remains the #1 most searched for book on Google, and has spent nearly 10 years in the Top 10. Not bad for an old text. The Sermon on the Mount, spoken by Jesus: Blessed are the meek: for they shall inherit the earth (Matthew 5-7). The parable of the prodigal son: But when he was yet a great way off, his father saw him, and had compassion, and ran, and fell on his neck, and kissed him (Luke 15). Jesus’ teaching to his apostles: Love one another… (John 13:34). Another teaching of Jesus, this to his disciples: All things whatsoever ye would that men should do to you, do ye even so to them (Matthew 7:12). Another teaching of Jesus to his disciples: Give and it shall be given unto you (Luke 6:38). Teaching of Paul: All things work together for good to them that love God… (Romans 8:28). Teaching of James: Draw nigh to God, and he will draw nigh to you (James 4:8). Of course, none of these teachings were spoken (or written) in a vacuum. Each teaching came from a speaker and had an intended audience with real problems, questions, and unique attributes. For example, Jesus’ teachings in the Sermon on the Mount were directed at his disciples, those who had shown some commitment to follow him. The Gospel of Matthew was likely written for a Jewish audience, whereas Mark likely had a Gentile audience in mind when writing his Gospel. The Apostle Paul had specific instructions for the Romans, the Ephesians, and the Colossians, and even different instructions at different times for people like the Corinthians,Thessalonians, and even Timothy. 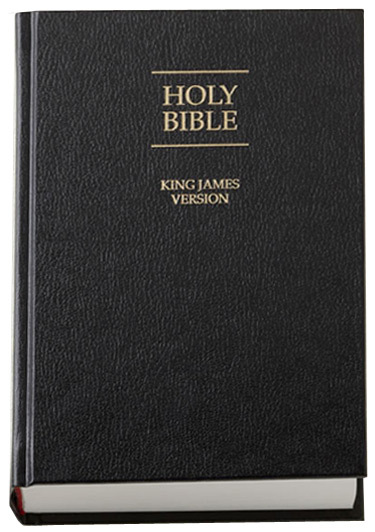 Thus, the books that comprise the Bible were written to and for certain groups of people with unique circumstances and needs, even though we in the contemporary world undoubtedly benefit from their inspired messages. But there’s another issue here that often flies under the radar when people read and discuss the Bible. If these words represent the revelations of God to humans suited for specific audiences and particular times, where are the present-day revelations and instructions for the Americans? the Germans? the Mongolians? Even a not-so-careful reading of the Bible suggests a well-established pattern of God transmitting revelations to specific groups of people based on their particular circumstances. Mormons believe that the formalized revelations of God, although largely absent for well over a thousand years beginning with the death of the original apostles, sprung forth again when 14-year old Joseph Smith went into a forest in Palmyra, New York in 1820 to ask God which church he should join. There the young Joseph reported to have been visited by God the Father and Jesus Christ – two distinct personages – in a brilliantly bright light, who instructed him not to join any church at the time. An actual divine appearance and visitation to a mere boy, with specific instructions and foreshadowing of a higher calling, similar, in fact, to the Biblical Samuel or young David. In the years that followed, when Joseph was a young adult, he brought forth the Book of Mormon, announcing that it was a translation of an ancient record written by Israelite prophets who originated from Jerusalem, but who had been led by the Lord to the ancient Americas – and that this narrative record contained, like the Bible, the fulness of the gospel of Jesus Christ. To get to the point and make a long story shorter, Mormons believe that prophets and apostles were placed again on the earth as God’s authorized representatives and spokespersons. As prophesied in the Bible, there had been “a famine in the land, not a famine of bread, nor a thirst for water, but of hearing the words of the Lord” (Amos 8:11). But that famine had passed and God once again established the pattern of revealing truths to his prophets, who then were to transmit those truths to the people of the world. The Bible contains revelations given at different times to different people, under different circumstances…The old world was destroyed for rejecting the revelations of God, given to them through Noah. The Israelites were destroyed in the wilderness for despising the revelations given to them through Moses; and Christ said that the world, in the days of the apostles, should be condemned for not receiving the word of God through them: thus we see that the judgments of God in the past ages have come upon the people, not so much for neglecting the revelations given to their forefathers, as for rejecting those given immediately to themselves. Mormons say that the coming forth of the Book of Mormon and other latter-day scripture provide tangible evidence we can hold in our hands, read with our eyes, and prayerfully consider in our hearts. To us, these truly do “[prove] to the world that the holy scriptures are true, and that God does inspire men and call them to his holy work in this age and generation, as well as in generations of old…” (D&C 20:11-12). In other words, God does speak today. He speaks to individuals and he speaks to prophets, for “he doeth not anything save it be for the benefit of the world; for he loveth the world” (2 Nephi 26:24) and will speak forth his words until his work is finished.